SSIS Catalog: Part 1 - What is the Catalog? In this new series of posts I will explain SSIS Catalog of Integration Services 2012. Part 1 - What is the Catalog? SSIS Catalog is a new repository model for Integration Services, which introduced from SQL Server 2012. This new repository model brings a lot of abilities for developers, testers and administrators. 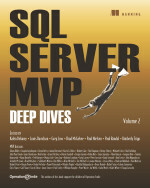 SQL Server Integration Services projects in SQL 2012 will be deployed to the SSIS catalog. So as the first step you need to create SSIS Catalog. SSIS Catalog is a SQL Server database named SSISDB. In part 2 I will explain how to create SSISDB, but in this part I will just explain features of SSIS Catalog. Catalog consists of folders, each folder may have one or more projects and environments. packages will resides inside the projects. this is another advantage of catalog; in SSIS 2008 or earlier packages were the core of deployment, but from 2012 project is the central configuration point for whole packages, we will see more details in feature parts. Version History will be stored at the time of project deployment, you can see list of all versions with date and time of deployment. ability to restore specific version is also available. Previous versions of SSIS (2008R2 or earlier), were supported validation, but as a part in execution time. in 2012 with help of SSIS Catalog validation can be done as a separate step for packages or project. There are a lot of improvements in execution of projects and logging which I will explain them in a separate blog post. there are four logging levels in SSIS 2012; None, Basic, Performance and Verbose. each of these logging modes will support number of events that will be logged into catalog database at the time of execution. Logging can be enabled in the package execution GUI, and no extra work is needed during package development. and this is one of advantages of SSIS 2012 rather than previous versions. Data Taps are new features in SSIS 2012 which provides ability to log whole data stream in one of data flow's data paths. and the best part of story is that you can add and remove data taps to a package at the time of execution. When you deploy packages and projects to a server, you may want to run those projects in different environments. for example one for Test and another for Production. SSIS Catalog provided new repository for environments, where you can create multiple environments for example for test and production. in each environment you can assign different values to project parameters. Environments can be assigned to projects or packages at the time of execution. There are 4 main type of reports gathered by SSIS Catalog with help of logging modes; Execution, Validation, Operation and Connection reports. Reports are based on Reporting Services (SSRS) and shows details of execution or validation of packages and projects. Permission can be applied on each folder, project, environment and operation. SQL Server roles can be selected and read, execute or other permissions can be granted or revoked for them. all permission details will be stored in tables in SSISDB catalog database. The new 2012 version of SSIS provided much more powerful permission style than earlier versions, and is much more suitable for enterprise real-world environments. in next blog posts I will get into each part and explain it more in details. First of all, I would like to thank you for the work you put into this blog and the information you disseminate. It is a great adjunct to the sterile and boring way MS promulgates the same. That said; I disagree with your illustration of the structure of the Integration Services Model in the SQL Service instance. I believe there should be a layer between between the SQL Server Layer and the Integration Service Catalog layer. The 'Integration Services Catalogs' branch on the object explorer is not represented in your model. It is a virtual folder which can, if my understanding is correct, hold more than one IS catalog and should be represented in order to facilitate the understanding that there can be more than one catalog. Like I said 'If my understanding is correct'. The reason I say this is that almost all tutorials and illustrations use the 'SSISDB' catalog as if it were the only one that ever exists. I have never seen a reference to multiple catalogs, yet the title and structure of explorer elements pretends to such.